Mrs Eio is always searching for dairy free food products, especially ice cream & sweet treats for El. 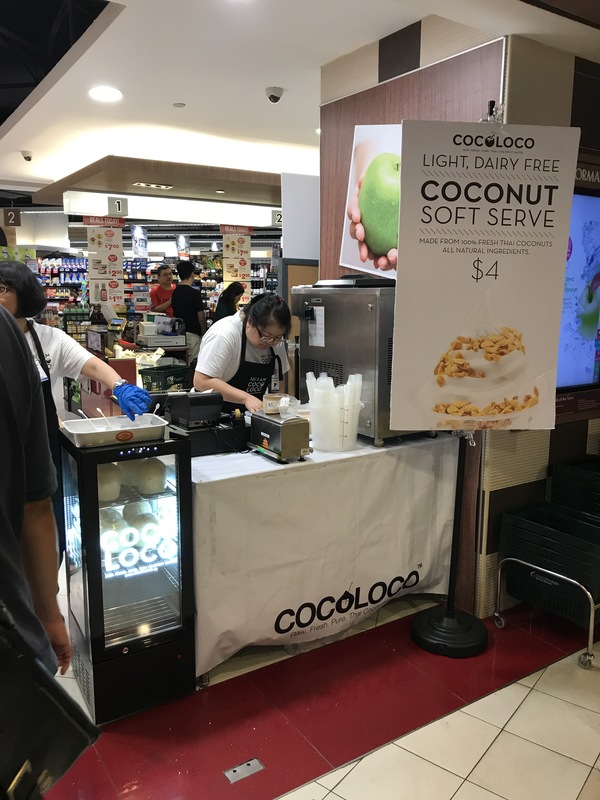 She chanced upon this pop-up stall selling dairy free coconut ice-cream at the entrance of Cold storage @ Tampines one basement 1. 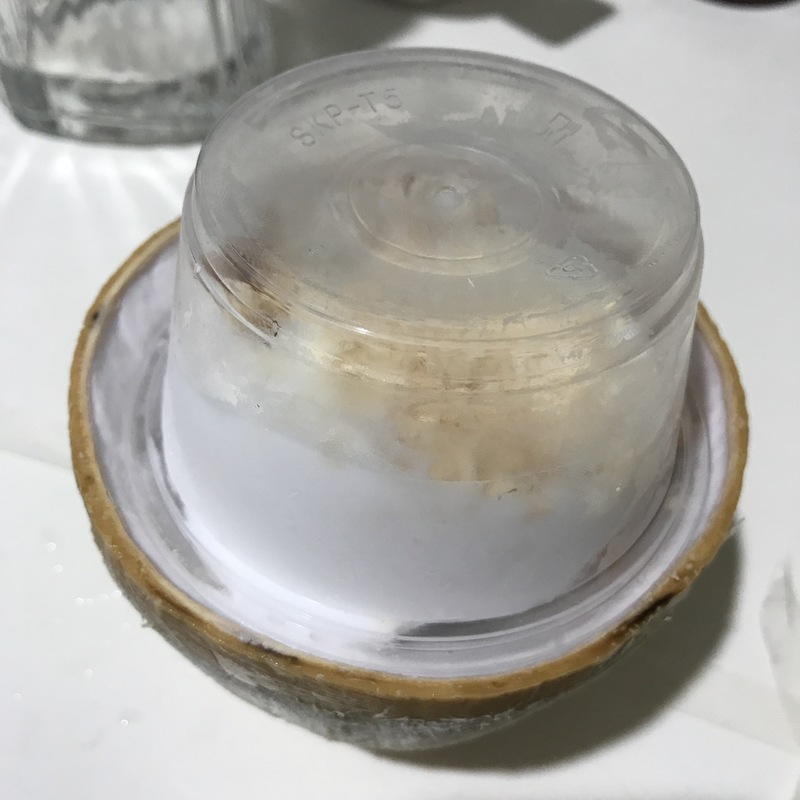 The ice-cream is selling at S$4 for soft serve in a plastic container (1 topping) or S$5 for a slightly bigger portion served in a coconut husk. The seller will cover the ice cream for takeaway. Taste: pretty refreshing. 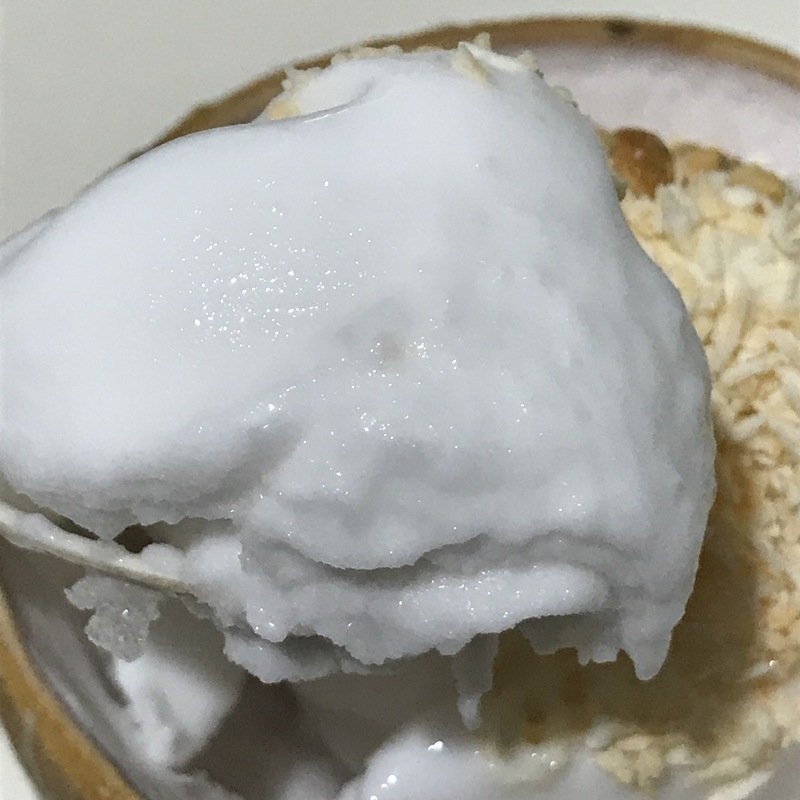 There’s some coconut bits in the ice-cream (not toppings). 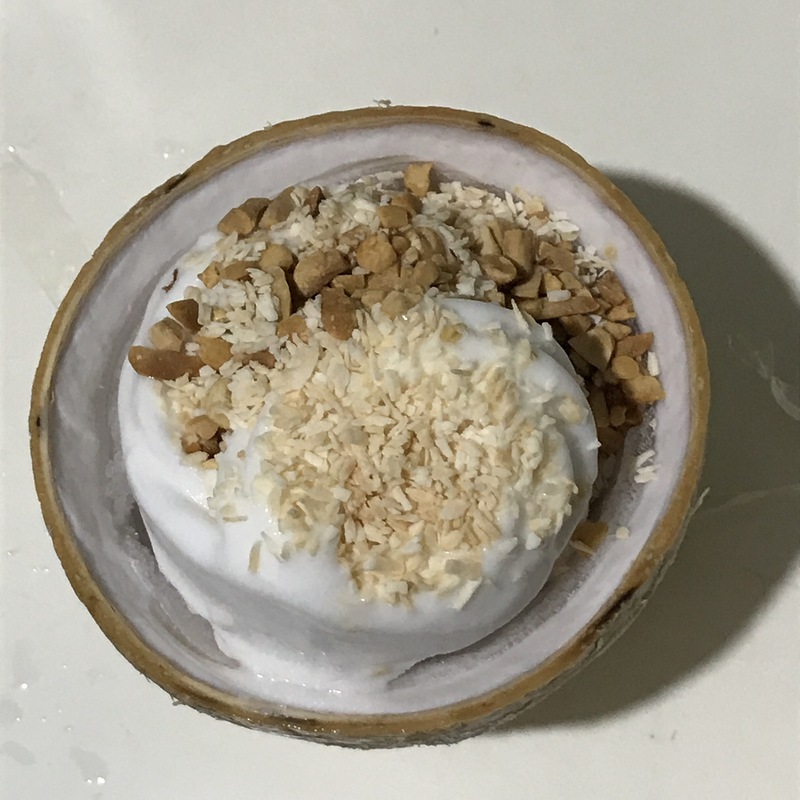 It’s wonderful to find another dairy free ice cream option for El but their price is on the high side for a pretty small serving.